It’s interesting to note that there are still websites without SSL certificates, even though all the search engines have pushed for encryption for almost two years now. I would imagine that the issue will become much more critical, at least in the minds of website owners, now that Chrome has started flashing “Not Secure” warnings on unencrypted sites. That’s right – it’s not just the little padlock anymore. Now, your visitors will start seeing a large red warning if you are still operating under HTTP. As announced, Chrome will mark non-secure pages containing password and credit card input fields as Not Secure in the URL bar. Why is Google Pushing for Encryption? Under the radar, a movement has grown that will force all websites to employ encryption. 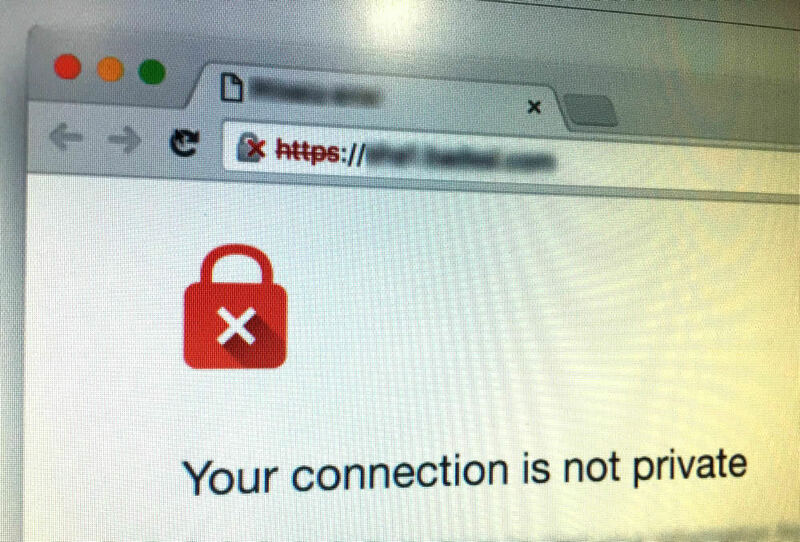 This push for HTTPS to replace the common HTTP or hypertext transfer protocol seems to have taken root. Google announced plans that, in essence, penalize unencrypted websites. Their new policies regarding encryption went into effect in January 2017. In 2015, U.S. prosecutors charged three men with the cyber-crime of stealing personal information from more than 100 million people. (1) Unsubstantiated claims by Russian hackers stated that they have accessed over one billion usernames and passwords from Internet databases. A global study by the UN found that the chances of being a victim of cybercrime are 12% higher than being subjected to a physical crime. Need help securing your website? If your website does not have “https” at the beginning of the URL, Effect can help you secure it. Just call us at (574) 533-3800. To push the agenda forward, Google first drafted a proposal for the purpose of showing users that their HTTP did not provide data security. Next, they announced that websites with a valid HTTPS would rank higher in their search results. In the past, SSL certificates were considered necessary only for websites dealing with banking or e-commerce. Other types of sensitive data, such as medical records, might have been encrypted, but the average blogger or informational site had no need for the certificate. By increasing the search rank of encrypted sites, Google changed the structure of the internet. Since most websites base their viability on that first-page ranking, website owners must follow the new “rule” and obtain their SSL certificate to compete. However, Google is not the only proponent of encryption. Apple and Mozilla both speak strongly for required HTTPS. With these three companies behind the initiative, compliance is not really optional. As a result, the United States government set a requirement for all .gov websites to be converted to HTTPS by December 2016. While most people would agree that their tax records and social security information needs to be protected, the majority may not feel the same way about local blogs and community bulletin boards. However, the push required ALL internet websites to use HTTPS. What Does This Mean for Unencrypted Websites? So, what does it matter? Are there drawbacks to switching all websites to HTTPS? First, let’s take a look at the positive aspects of encryption. As data moves around the internet, it passes from computer to computer on its way to its final destination. Think of it like the old Pony Express system. Information travels from one server to another, where it is sent on the next leg of its journey. During each jump, the potential exists for someone to hijack the transmission. Encrypted data keeps the hijacker from making sense of the information they intercept. Fraudulent websites litter the internet. About the only way, someone can be sure they are visiting an authentic website is by checking for their SSL certificate. Google shows trusted sites with a small green padlock next to their URL. Users know that the site has been verified and that they are interacting with a known entity. The visual cue of the green padlock creates a sense of security and visitors won’t have to dig further to find out whether or not their information is safe. E-commerce sites that accept credit cards must use an SSL certificate. To comply with audit requirements, they must prove they use encryption of customer financial data. No legitimate e-commerce site can operate without an SSL certificate unless they go through a third-party payment processor such as Paypal. In such cases, companies such as Paypal accept responsibility for the handling of customer financial information and hold the required certificates. The primary reason most websites do not use HTTPS is cost. An SSL certificate can cost upwards of $150 and just doesn’t seem necessary for those not handling sensitive information. In 2016, the Internet Security Group, sponsored by Linux, Cisco, Mozilla, and others, began offering TSL (Transport Layer Security) encryption free of charge through participating web hosts. Even though the certificate is free, there may still be some configuration costs. The certificate is not enough. Your web designer needs to code your website so everything on it loads through HTTPS rather than HTTP. While e-commerce sites will still require a higher level of encryption, these X.509 certificates being offered at no cost, meet the needs of other sites, not handling data of a sensitive nature. Overall, the move to encrypt all websites seems to be positive. HTTPS helps protect customers, and promote trust. By “forcing” website owners into compliance, Google, and the other internet giants, just might be acting in everyone’s best interests. Need help securing your website before Google’s January update? What should you do if your website does not have “https” at the beginning of its URL? Don’t worry. Effect Web Agency can help you secure it. Just call us at (574) 533-3800. Serving Web Design Clients in Indianapolis, across the state, and around the world. Contact us for help with encryption. We can also help clients who have been moved to the Mobile-First Index reconfigure to meet Google’s Mobile Usability requirements. Here are some of the most common questions we receive from our clients. 1. 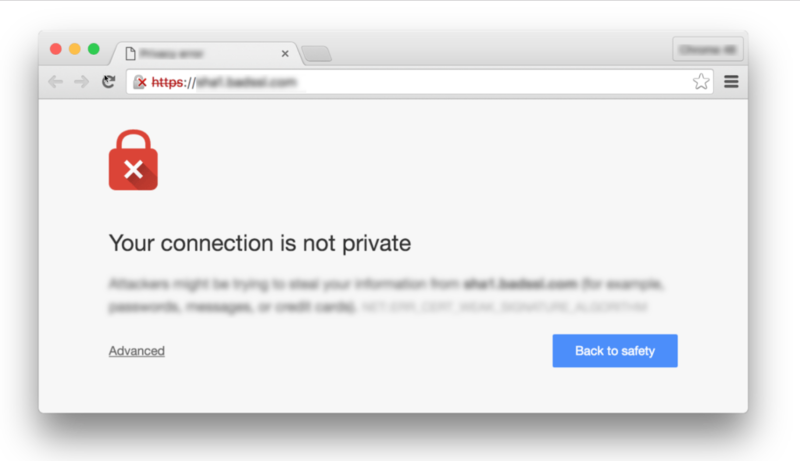 What are SSL and HTTPS? SSL = Secure Sockets Layer. It’s a digital “certificate” (a big encrypted text file) generated from a trusted SSL provider like Comodo. Anyone can make one. The reason you buy a name brand is that browsers recognize the name brands. A no-name SSL certificate will cause a pop-up warning message in a browser for your visitor. This file makes a special connection to a visitors browser that encrypted the communication. HTTPS = this is simply the secure version of HTTP – for example, when you are checking out on an e-commerce store, you will almost always see HTTPS in the address bar instead of HTTP. 2. Does this HTTPS requirement apply to me? In short, Yes. If you require users to log in or you accept payments on your website then it is an absolute must. But, even if you don’t, HTTPS will factor into rank results. In order to compete, you will need to be secure. 3. Why should I invest in SSL? Google has confirmed that they now give additional ranking benefits to websites that are using HTTPS :// on every page. People tend to perceive sites with HTTPS as “safe” and “trusted”. With cyber security becoming an increasingly relevant issue, this trust is important. HTTPS will build credibility with both the search engines and your visitors. It’s a win-win situation. This is, of course, the big question for most companies. The beautiful thing is that for many the certificate costs nothing. For websites accepting online payments, a different type of SSL Certificate is required but you can receive a discount through Effect if you purchase one that is valid for several years. Certificates do need to be installed and renewed. There may be minimal costs associated with the setup. 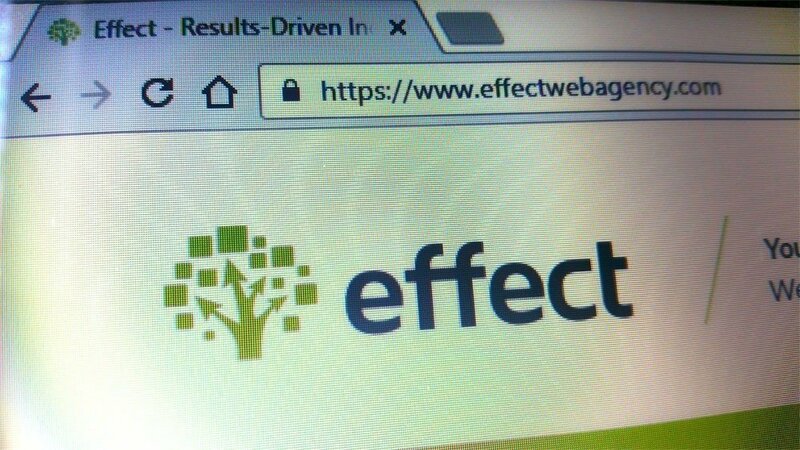 If you have any questions about how you can get encryption for your site, contact Effect Web Agency. 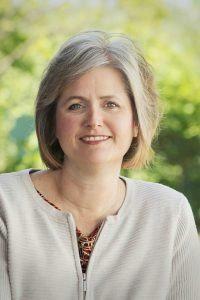 We continue to serve web clients in Goshen, Indianapolis, and across the United States. Our goal is to help you grow your business. Effect Web Agency partners with businesses to help them achieve the maximum results from their digital marketing efforts. Contact Effect for you free web consultation. 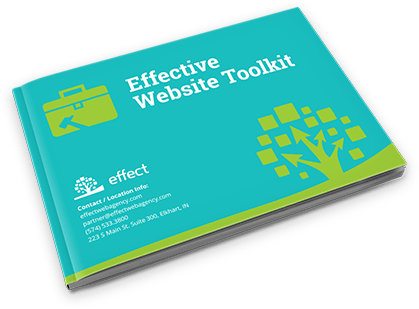 There are many good writers, marketers, designers, and programmers, but employing a team like Effect Web Agency, where specialists in each of those areas work together towards a common goal, can lead a company to the forefront of their industry.